Great news! 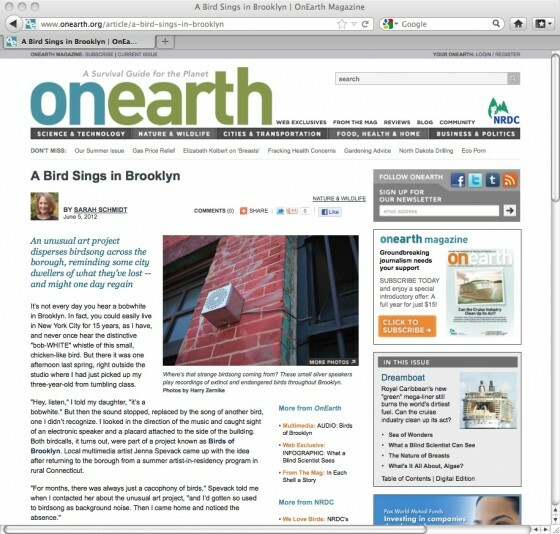 Birds of Brooklyn is currently featured on the Natural Resources Defense Council’s OnEarth Magazine. Check out the article and the audio feature.